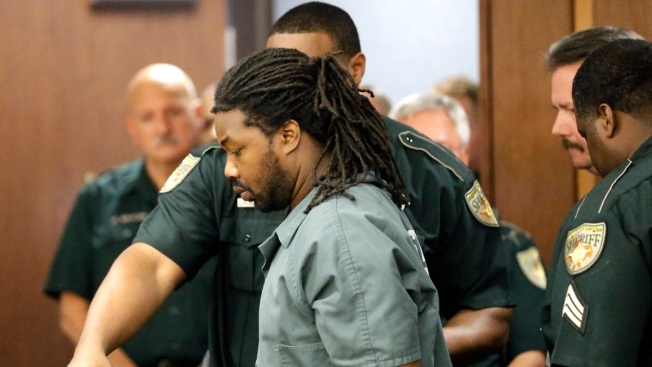 Jesse Matthew, the man accused of abducting University of Virginia student Hannah Graham last year, has been charged with her murder, authorities announced Tuesday. Matthew, 33, was indicted last week on first-degree murder. Matthew is also facing a charge of abduction with intent to defile and two counts of reckless driving for incidents that occurred during the investigation of Graham's disappearance. He was not charged with capital murder, which means he would not face the death penalty if convicted. The abduction and first-degree murder charges are each punishable by up to life in prison. Matthew faces a possibility of five life sentences if convicted in both Fairfax and Albemarle counties. Graham vanished after a night out with friends Sept. 12. According to police, the 18-year-old left an off-campus party alone and texted a friend saying she was lost. Graham disappearance prompted a month-long search that ended when her remains were found just miles from where she was last seen in Charlottesville. DNA evidence also linked Matthew to the 2009 disappearance and death of Virginia Tech student Morgan Harrington. Her remains were found three months after she disappeared the night she attended a rock concert at U.Va. The families of Graham and Harrington were notified of the new charges against Matthew, Lunsford said. Matthew has also been linked to a 2005 attack on a woman in Fairfax. He pleaded not guilty to all three charges he is facing in connection with the 2005 case, in which a 26-year-old woman was walking home from a grocery store when she was grabbed and dragged into a wooded area, where she was sexually assaulted. Matthew will appear in an Albemarle County courtroom by video link on Feb. 18 for his first hearing on the new charge.